When and why were environmental think tank founded in Germany? How do they work and what function do they have for environmental politics in Germany? What role has the EU for the science-based environmental policy consultancy? At Ecologic Institute, a delegation of the Secretariat of the China Council for International Cooperation on Environment and Development (CCICED), headed by Ms Zhang Mengheng, was particularly interested in the research environment and the functioning of think tanks in Germany. The topic was introduced by R. Andreas Kraemer, Director of Ecologic Institute. Christiane Gerstetter, Senior Fellow, and Susanne Langsdorf, Researcher at Ecologic Institute, delved into the topic. Susanne Langsdorf presented the various forms of science-based policy consultancy in Germany. Special attention was paid to the emergence of independent environmental research institutions. 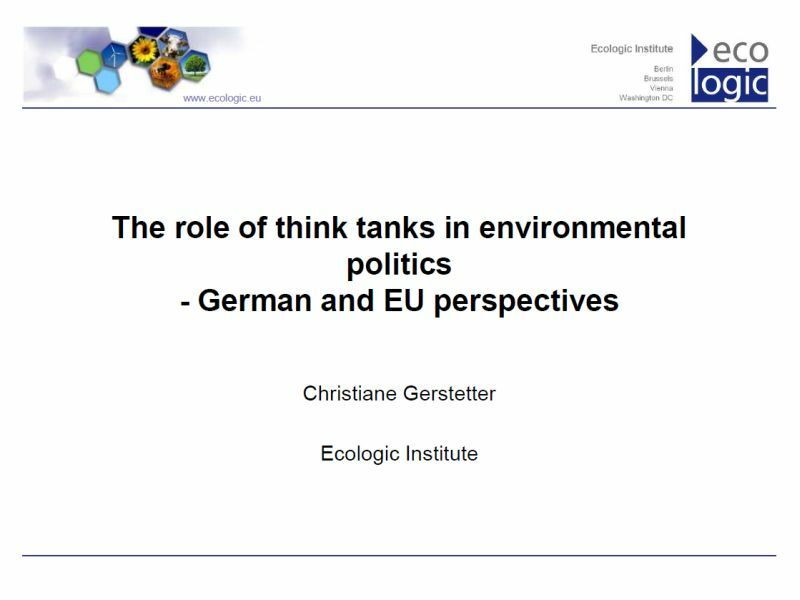 Christiane Gerstetter put the focus of her presentation on the importance of environmental think tanks in and for the European Union; quality management in think tanks as well as the influence of think tanks on the European research agenda. The presentations were followed by a lively discussion in which views on the (in)dependence and influence of think thanks were exchanged. The visit was organised as part of the "German-Chinese environmental partnership". During their two week stay the eight participants met various actors of the German environmental politics scene. From "The Blue Sky above the Ruhr" to the "Energiewende"